CoachFX has that covered as well. The entry level product, CoachFX Draw is just the ticket. At $42, it is in any coach’s budget, and downloadable within seconds of your purchase. A quick and easy install, the program is up and running right away. The program is a simple drag and drop illustrator. You can choose from a full pitch, training grid, multiple grids and any number of variations. You can draw from an overhead perspective, side view or tilted. 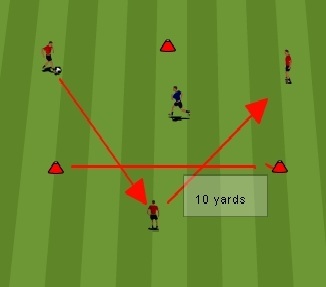 There is seemingly no end to the equipment pieces you can add to your diagram: goals and balls for sure, but also hurdles, flags, three sizes of cones and more. Perhaps the most impressive feature to me is the ability to orient the stance and action of the players. Are they open to the ball, running away, facing away from the viewer? You can put them in any position with a simple click. In addition, you can change their action: running, shooting, jumping (or about 10 other choices) or just standing still. Differing lines are easy to draw and shape.No more hand drawn zigzags for dribbling. No more unevenly dashed lines for a run. CoachFX Draw takes care of all of that with drag and drop. Once you are done, one click again exports your diagram to a jpeg file. Perfect for pasting into MS Word for a practice plan. On my first use of the product, I finished three illustrations in about 15 minutes. I did no tutorials and did not look at the support website. This was all easily achieved just by experimenting with the software. They aren’t the greatest diagrams, but each was better than the last, and each far better than anything I could have done by hand, by MS Paint or Photoshop. I am excited to have this product in hand, and have no doubt my illustrations will get better and more complex. I finally feel like I have a tool to clearly illustrate a drill or game such that the viewer will understand it. A quick note on the diagrams. These are the same diagrams I made the first night I had the product, without looking at any tutorials or other resources. The CoachFX website has all sorts of sophisticated examples! 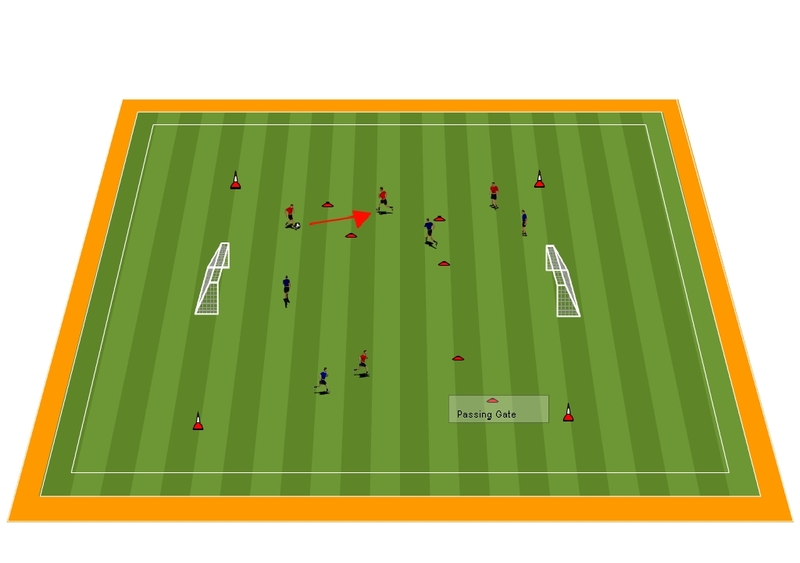 This entry was posted in Coaching, Cyber Coach, Opinion and tagged CoachFX, diagrams, illustrations, practice planning, review, software by admin. Bookmark the permalink.